A Brazilian court has ordered McDonald’s to pay a former franchise manager $17,500 (£11,000) because he gained 29.5kg (4st 9lbs) while working there for 12 years. The 32-year-old man said he was forced to sample food products each day to ensure that standards remained high because McDonald’s hired “mystery clients” to visit branches randomly and report on the food, service and cleanliness. The unnamed man also said McDonald’s offered free lunches to employees. 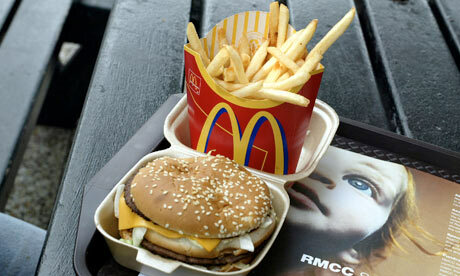 The ruling against McDonald’s was signed on Tuesday by a judge in Porto Alegre.